According to the UN resolution of November 29, 1947, Jerusalem was not to be included in the Jewish state, but was to come under international rule under UN auspices. The Irgun General Headquarters, which objected strongly to the internationalization of Jerusalem, decided that it would continue to exist there even after it had disarmed within the borders of the Jewish state. The role of the Irgun would be to fight any foreign force which ruled Jerusalem, and to take part in the defence of the Jewish community against Arab attack. On April 13, 1948, a day before the British left Jerusalem, Mordechai Raanan (Irgun district commander) initiated a meeting with David Shaltiel (Haganah district commander). At that meeting, Raanan told Shaltiel that his sense of responsibility for the fate of Jerusalem had motivated him to place the Irgun units under the Haganah's unified command, whilst retaining organizational autonomy. Shaltiel went on to outline "Operation Kilshon" (Pitchfork), the military action planned to take place after the British departure. The operation had two objectives: the first, to seize buildings belonging to Jews, which had been commandeered by the British in order to establish security zones (known as Bevingrads). The second objective was to create territorial continuity with the isolated Jewish suburbs. The plan, essentially defensive, was intended to preserve existing gains and to defend the Jewish community in Jerusalem. On the morning of Friday, May 14, 1948, the British evacuated Jerusalem in two convoys: the first moved north towards Haifa, while the second moved south towards Bethlehem, Hebron and Rafiah. The departure of the two convoys marked the end of thirty years of British rule in Jerusalem. Immediately after the last British soldiers had left the city, Irgun fighters took over the vacant Generali building on the corner of Jaffa and Shlomzion Hamalka streets. After raising the national flag above the statue of the winged lion on the roof of the building, they turned towards the Russian Compound, where the CID (the British intelligence) and central prison were located. Several members of the Irgun force had been incarcerated there as members of the underground and felt particular satisfaction in returning there as victors. The next assignment was to seize the Police Academy north of the city, overlooking the road to Mount Scopus. The camp was attacked by three spearheads, the barbed wire fence cut, and the fighters entered the camp where they uncovered an arsenal of ammunition and considerable quantities of fuel. Immediately after taking the camp, the force continued its advance towards the Arab quarter of Upper Sheikh Jarrah. Several hours later, this too was occupied and the road to Mount Scopus was opened to traffic. While the Irgun was operating in the Police Academy and in Sheikh Jarrah, Haganah units were active in establishing contact with the isolated Jewish quarters in the south of Jerusalem. Five days later, in May 19, 1948, the Arab Legion (the army of Jordan) attacked Jerusalem and took over the Police Academy and Sheikh Jarrah. The Egyptian army invaded the country shortly after the British departure, reaching the Arab town of Ashdod unimpeded. A branch of the column turned towards Be'er Sheva, and continued from there to Hebron, halting at Bethlehem. At the time, an Arab Legion unit which had guarded the British withdrawal from Jerusalem was also stationed in the Hebron area. In addition to the Egyptian and Legion units, there were also irregular forces in the area, trained and armed by Arab Legion officers. The Egyptian army intended to attack Jerusalem from the south, but first had to capture Kibbutz Ramat Rachel, which commanded the road linking Bethlehem to Jerusalem. The first attack on Ramat Rachel took place on May 22. The kibbutz members could not withstand the heavy shelling, and after several attacks retreated to the nearby suburb of Talpiot. The Arabs then entered the kibbutz and began looting. Towards evening, a unit from the Moriah battalion of the Haganah arrived, liberated the kibbutz and returned to its base, leaving the newly-returned kibbutz members to defend their home. The story was repeated the following day. After heavy shelling and automatic weapon fire, the kibbutzniks again retreated. The Arabs entered the kibbutz and continued their looting. In the evening, Haganah reinforcements again arrived, stormed the area and recaptured it from the Arabs. When they left, they were replaced by two Irgun platoons, under Yehuda Lapidot (Nimrod), and a reinforced Haganah squad. The large-scale military offensive took place the next day, May 24th. In the morning hours, the kibbutz was shelled by mortar and cannon, and then the onslaught began. An Egyptian armed column, consisting of 9 armored cars and one tank, advanced from the west (from the direction of Mar Elias monastery), while a company of the Arab Legion attacked from the east (from the direction of Zur Baher). The Egyptian armored column advanced close to the kibbutz, commanding the road linking Ramat Rachel to the suburbs of Arnona and Talpiot. The defenders were besieged and totally surrounded by enemy forces. Fighting was fierce and the number of casualties grew, but the defenders fought courageously and refused to surrender even after fifty percent of their force had been injured. The battle raged until the evening. When night fell, the armored column withdrew, and a Haganah force arrived to an emotional welcome. It should be noted that the fighters who defended Ramat Rachel had no anti-tank weapons and were equipped only with Sten guns and rifles. Their heaviest weapon was a Lewis machine-gun, which had been in British service during the First World War. The next day, the Jewish Agency spokesman announced that the Egyptian onslaught on south Jerusalem had been checked, and that "the Irgun had displayed great heroism". David Shaltiel went further and noted that, by checking the Egyptian attack, the Irgun had saved southern Jerusalem. The heroism of the Irgun fighters at Ramat Rachel was also noted in a special order of the day of the Irgun commander in chief and the district commander. The heroic struggle of the defenders of the Jewish Quarter, who fought against a superior enemy force, will not be discussed in the present context. (For a detailed account, see Aharon Liron: 'The Old City of Jerusalem in Siege and Battle'; Yehuda Lapidot: 'Upon Thy Walls'). The following is a brief description of the role of the Irgun in the battle for the Jewish Quarter. The fighting in the Old City began immediately after the UN resolution of November 29, 1947. The Jewish Quarter was placed under siege and provisions were brought in by convoys escorted by the British army. In order to restore calm, the British brought a company of troops into the Old City to keep Jews and Arabs apart. After several months of fighting, the Irgun commander of the Jewish Quarter, Isser Nathanson (Gideon), initiated contact with the Haganah commander to discuss combining forces and drawing up a formal agreement between the two organizations. On May 4 an agreement was signed in Jerusalem, according to which the Irgun force in the Old City accepted the authority of the Haganah commander and agreed to carry out his orders. 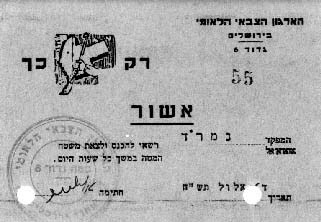 After the signing, 44 Irgun and Lehi fighters joined with some 70 Haganah fighters to form the joint fighting force of the Jewish Quarter. It should be recalled that, in addition to the fighters, there were some 1,700 civilians in the Old City (most of them old people, women and children). Arab pressure on the Quarter increased subsequent to the British departure. The number of casualties among the defenders grew and ammunition was seriously depleted. When the stock of grenades began to run out, Gideon decided to manufacture grenades in the Quarter itself. He approached Yitzhak Aharonov, an Irgun commander in charge of the improvised arms factory. He recruited the aid of several of the teachers who had arrived in the Quarter with the last convoy, and who had been left in the rear because there were no weapons left for them. A group of young boys went from house to house collecting cans, and the teachers filled them with nails and gelignite. A detonator ending in a match-head, and attached to a time fuse, was then inserted into the gelignite. In the course of the combat in the Old City, the factory manufactured more than 2,500 of these grenades, enabling the fighters to hold out much longer than they would otherwise have been able. When the Arab Legion force entered the Old City, the situation deteriorated. Several fruitless attempts were made to bring in reinforcements. On May 28, 1948, when all hope had been lost, the two rabbis of the Quarter went out to negotiate the conditions of surrender. One hundred and eighty fighters and civilians lay wounded in hospital when the Legion captured the Jewish Quarter. Abdullah el Tel (Commander of the Legion force) ordered that the remaining fighters be rounded up and held apart from the civilians. In all, thirty five lined up in front of him. An amazed el Tel was prompted to remark: "You deceived me. If I had known your numbers, I would have fought you with sticks". On the evening of the same day, the inhabitants of the Jewish Quarter were transferred to the new sector of the city. The fighters were taken prisoner and sent to a camp in Transjordan. This marked the end of the heroic struggle of the defenders of the Jewish Quarter of the Old City. A four-week truce proclaimed on June 11th was greeted with relief by the people of Jerusalem, both civilians and soldiers. The soldiers, particularly those serving in combat units, were exhausted by the heavy fighting and traumatized by the deaths of comrades. Their situation had been made all the more stressful by the constant shortage of weapons and fighters. Civilians emerged from their shelters and enthusiastically greeted the convoys loaded with food. The shelling, which had exacted so heavy a toll on civilian life, was finally over, and there was a general sense of optimism that life in Jerusalem would return to normal. During the four weeks of truce, weapons, medical equipment, manpower and food flooded into Jerusalem. The Irgun also received weapons and ammunition from the coastal plain. Military bases, dispersed throughout the city, were now united and concentrated in the Katamon quarter of Jerusalem. The battalion was re-organized and its troops underwent intensive training, in readiness for a resumption of hostilities. The battalion, known as Battalion 6, was commanded by Nathan Germant (Shimshon), who had recently returned from African exile. His deputy was Yehoshua Brandeis-Cohen (Elitzur). Menahem Shiff (Zeev) was operations officer and Yehiel Ohev-Ami (Ido) the adjutant. The battalion consisted of three combat companies: No. 1, under Yehuda Lapidot (Nimrod); No. 2, under Zvi Koenig (Yishai), and No. 3, under Eliezer Sodit-Sharon (Kabtzan). There was also a mortar company under David Brisk (Baruch or Chunky), a company of women commanded by Emma Germant (Avigail), and a junior company commanded by Pinchas Tuchman (Ron). After the first truce, which lasted four weeks, the balance of power in Jerusalem shifted drastically. The Jews had received reinforcements of weapons and fighters, whilst the opposite had occurred in the Arab forces. The Jewish force was now much stronger than the Arab force, morale was high and an onslaught was scheduled to begin on July 8, 1948. Irgun representatives met with David Shaltiel and proposed that the attack on the Old City be launched forthwith. Shaltiel, eager to delay an attack, asked that the Irgun first capture the Arab village of Malha, promising an operation to liberate the Old City thereafter. In the early morning hours of July 14, Malha was duly attacked. By dawn, the village was occupied, but several hours later the Arabs launched a counter-attack, seizing one of the fortified positions and inflicting numerous casualties. When Irgun reinforcements arrived, the Arabs retreated and Malha was restored to Jewish control. The Irgun had lost 17 of its fighters and many more were wounded. 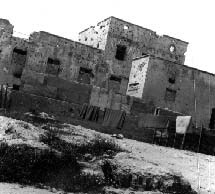 Several days later, Shaltiel summoned the Irgun representatives and outlined his plan to attack the Old City from three directions: the Beit Horon battalion of the Israel Defence Forces would strike from Mount Zion; an Irgun battalion would break through the New Gate (opposite Notre Dame), and a Lehi unit would break through the wall between the New Gate and Jaffa Gate. The attack was scheduled for Friday, July 16 at 8pm, and was to be completed by 5:45 the next morning, when the second truce was due to begin. Shaltiel added that if the exchange of fire continued, the battle would go on and there would be no truce. The plan went awry from the outset. The zero hour was postponed, first to 11pm, then to midnight and then indefinitely. Finally, at 2:30am, the order was given to set out. 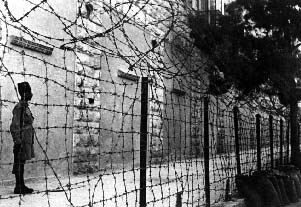 The Irgun unit succeeded in breaking through the New Gate, but the other forces failed in their missions. At 5:45am Shaltiel's headquarters gave the order to retreat and the forces were ordered to cease hostilities. With the beginning of the 'second truce', the war in Jerusalem effectively came to an end. A new situation prevailed in the city - the western section was now in Jewish hands, while eastern Jerusalem was under Arab rule. The plan for the internationalization of Jerusalem had come to nothing; it was clear that incorporation of the western sector of the city into the State of Israel was only a question of time. Irgun leaders consequently started negotiations with Yitzhak Greenboim (Minister of the Interior in the Provisional Government) for the co-opting of the Jerusalem Battalion into the IDF. It was agreed that the Irgun in Jerusalem would disband and its fighters would enlist in the IDF. Count Bernadotte, the UN emissary, had meanwhile arrived in the country in an attempt to find a solution to the Jewish-Arab dispute. He did not consider himself bound by the UN resolution of November 29, and proposed a scheme of his own, each clause of which was unacceptable to the Jews. Among other things, the scheme proposed that unlimited immigration be permitted for only two years, whereafter it would become conditional on Arab consent. It also proposed that the Negev, in part or in its entirety, be included in the Arab state, and that, in exchange, western Galilee be part of the Jewish state. Bernadotte's proposals aroused a storm of protest amongst the Jewish public in Israel. The Lehi, which considered him a national threat, planned and duly carried out his assassination on Friday, September 17, 1948. Ben-Gurion decided to exploit public outrage at this act and the following day an IDF force raided Lehi camps in Jerusalem. Lehi was proclaimed an illegal organization and many of its members were arrested by the security forces. All members of the Irgun eligible for enlistment must enlist in the IDF. All weapons must be handed over to the IDF. If, in the specified period (twenty four hours) you do not respond to the demands of the government, the army will take action with all the means at its disposal. In response to the ultimatum submitted to us yesterday, we hereby announce that, taking into consideration the threat of the use of force, and our desire to avoid shedding Jewish blood as a result of the execution of this threat, we accept the ultimatum. The Irgun Zvai Le'umi will disband in accordance with the Provisional Government's demands in a manner which will be determined between us and the commander of the IDF brigade in Jerusalem. 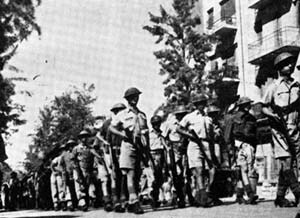 From the day the British evacuated Jerusalem, the Irgun's fighting units were active in the defence of the city. The Irgun non fighting unit (Otzaron) built fortifications and the junior company carried out liaison missions and sometimes took part in combat. Dozens of Irgun fighters were killed in battle and more than one hundred were injured. The Irgun's contribution to the defence of Jerusalem far exceeded its relative proportion of the fighting force.